There are billions of cells in your SA node and different cells in different regions of the node spark to create a heartbeat. When all of them are healthy the spark arises from different regions and the time between heart beats is longer or shorter, which is called heart rate variability, or HRV for short. When the heart becomes unhealthy, for various reasons, the number of cells decreases and so does the HRV. Also, physiological and psychological stress will reduce heart rate variability. Why is all this so important beyond keeping you alive? A decrease in heart rate variability is a single predictor, or risk factor, for virtually all diseases from infancy to old age. The well-known Framingham Heart Study has studied 5,209 adults since 1948 and is now in its third generation of participants. 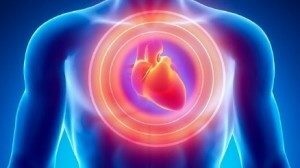 Much of the now-common knowledge concerning heart disease, such as the effects of diet, exercise, and common medications such as aspirin, is based on this longitudinal study. The study showed that reduced HRV was found to predict mortally from all causes. Also, reduced HRV predicted acute coronary events such as angina, heart attack, coronary sudden death or congestive heart failure. The study proposed that HRV monitoring offered more valuable prognostic information than traditional risk factors such as high cholesterol, high blood pressure and lack of fitness. HRV may be the single most important risk factor as it reflects the effect of diet, lifestyle and mind style on the heart. Moving to the other end of the life spectrum, changes in HRV also predicts infant mortality. Infants who eventually succumbed to Sudden Infant Death Syndrome (SIDS) have higher heart rates and reduced heart rate variability compared with other infants. The reason HRV testing predicts so many diverse medical conditions is that it measures the health of the autonomic nervous system, or ANS. You have two neurological control systems in your body: the voluntary nervous system and the autonomic nervous system. You control the voluntary one and it allows you to get up in the morning, brush your teeth and go about your day. Fortunately, the autonomic nervous system controls everything else in your body, such as heart rate, breathing, digestion, immune function and a lot more. You think your day is busy now? Imagine if you had to think about the 92% of your body function that is automatically controlled by your ANS. You probably have enough to worry about already. The autonomic nervous system is divided into two branches: sympathetic, or SNS, and parasympathetic, or PNS. The SNS is the stress response system, also called fight or flight, and its sole purpose is to help you escape danger and survive. The SNS has insured human survival on earth by allowing our ancestors to run from predators and protect the village food supply. The parasympathetic nervous system governs the long-term projects in the body such as hormone production, digestion and immunity and is therefore also referred called the “rest and digest” branch of the ANS. How healthy is my heart? Do I worry too much? Do I have too much stress in my life? How is my body responding to stress? Is my exercise program marking well in improve my health? Are my stress management techniques working? Is my ANS supporting health or disease? How strong is my PNS? Is my disease getting worse or better? Are my current therapies helping me heal? Why am I so tired? What life style and mindstyle techniques will improve my heart rate variability? You create your reality based on your beliefs and 80% of them are unconscious, seeded into the mind during the powerful formative years of childhood. Some scholars say that the human ego is mostly formed by the age of two or three. An anxious mother or a fearful childhood will create worry, anxiety and stress later in life. Once you identify an unconscious belief that was valid for the child it is easy to see that it is no longer serves you as an adult and you can let it go. Basically, the patterns of thought and emotion over the years of your life are the key factors leading to the balance in your autonomic nervous system. Once you understand how your body is responding to the governing influence of your mind, your can make new choices that lead to happiness, wisdom, self-knowledge, and greater health. Call MindBody Medicine Center at 480.607.7999 to schedule an HRV test. Contact our team to schedule your next service! of the research on the mindbody.